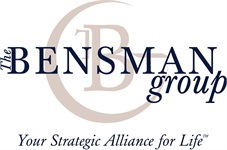 Michael joined The Bensman Group in 2018 as Operations Director. Michael brings with him 12+ years of experience in the operational management, process improvement, and human resources. 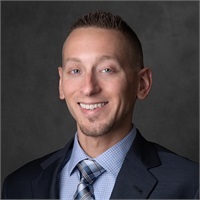 In the past six years, Michael has concentrated his time specifically within the insurance industry where he has held such positions as Director of Operations and Operations Manager of two large privately held insurance broker agencies within the Chicagoland Area. Michael prides himself on being a results-oriented business professional with proven abilities in strategic planning, managing projects, improving the efficiency of operations, team building, and detailing project information to determine effective processes for operations. He is able to identify areas of strength and weakness and implement company policies, standards, changes in operation, and systems that optimize productivity and bottom line. Michael earned his Bachelor of Science, Business Administration Degree with a concentration in Business Management in 2007 from Roosevelt University’s Heller College of Business. Michael holds an Illinois Life and Health Producer License. Michael lives in Plainfield, Illinois with his girlfriend, Tracy, and their two children. He enjoys spending time with his family, anything sports related, watching movies, and the History and Science Channels. He is also a loyal Bears and Cubs fan.